I love patchouli and I love this Limited Edition Patchouli Clove soap. 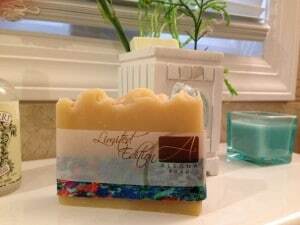 This is another great seller that may get a permanent spot in my Classic Line soaps. I also love the colorful material I use to wrap this soap. Sometimes when I go shopping for cloth to wrap my soaps, the material speaks to me, This one screams Patchouli, don’t you think?.